The Council seeks to build long-term relationships with statewide associations that serve writers as well as partnerships to facilitate events that expand opportunities for Alabama writers and the reading public. For example, the Council provides funding for the Alabama Writers’ Forum and its programs that promote Alabama writers and writing through events, publications, a high school literary contest and scholarship program and partnerships with educational organizations. 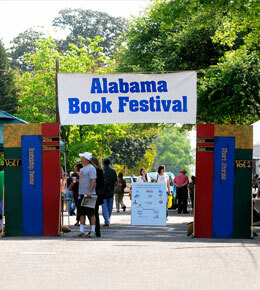 The Council also funds the annual Alabama Book Festival, an statewide literary event that brings readers, writers, poets, scholars and industry professionals together at Old Alabama Town in Montgomery each April.